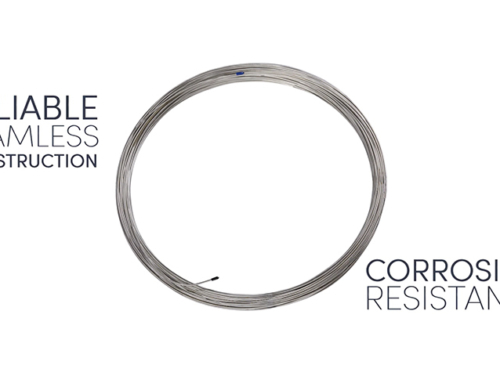 Fabricated medical precision tubing is used in a variety of devices for minimally invasive medical applications, including surgical tools and instruments, sub-assemblies and components. 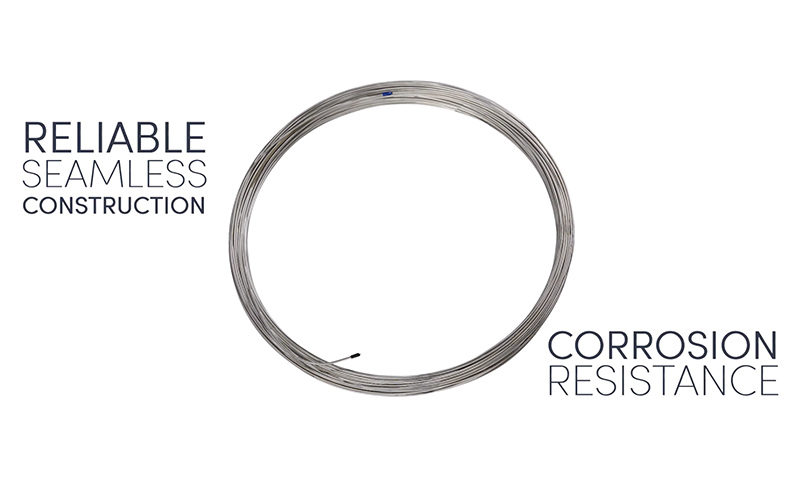 This precision 316 tubing is primarily used for endoscopic, arthroscopic, cardiac and orthopedic procedures. 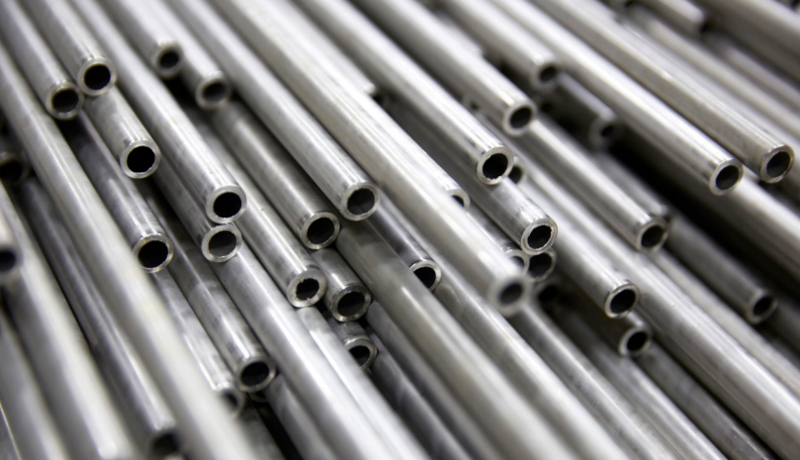 Small diameter stainless steel tubes may be welded or seamless depending on customer specifications. Manufacturers must be ISO 13485 certified, and specialize in the production of precision fabricated tubular and metal components for these medical device applications. There are many different types of fabrications, that are each dependent on the specific application and specification. Final fabricated product usually incorporates the use of precision mechanical machining and non-contact laser equipment. Tubes that are spun closed at the end and welded shut to meet the required end configuration for the application is called end forming. Typically round, flat or pointed ends are required. It is necessary that the tubes are tested for porosity or leakage. 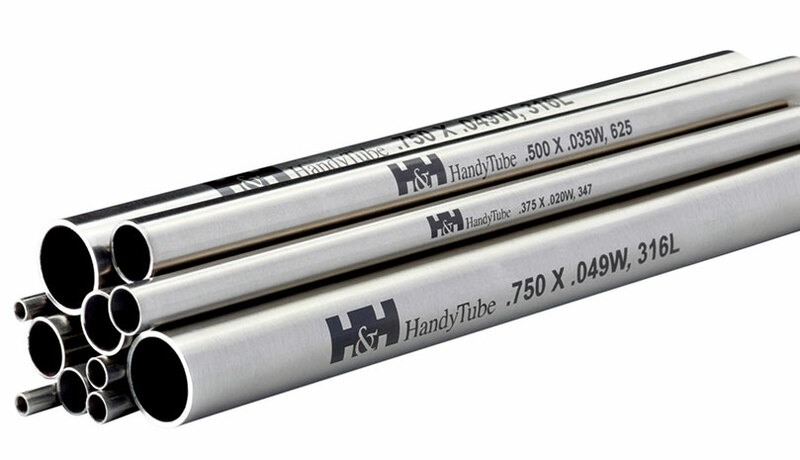 Special process and tools must be used to achieve repeatability of the connection of end-formed tubes. Flaring is done to gradually spread the end of the tube outward using special tooling. Flanging is done to form an angular expansion or a 90 degree rim at the end of the tube. Like End Forming, flaring requires special tools, procedures and testing. Tube expansion or reduction is achieved by welding, using plug or mandrel-drawn processes (to smooth the weld and to set the wall thickness). The process continues with several sinks (reductions) then welded, followed by several plug or mandrel draws to finish the tube to customer specification. Each of these procedures has their own specific applications. Closed-end tubes are spun closed or welded shut in various end configurations, including round, flat orpointed. 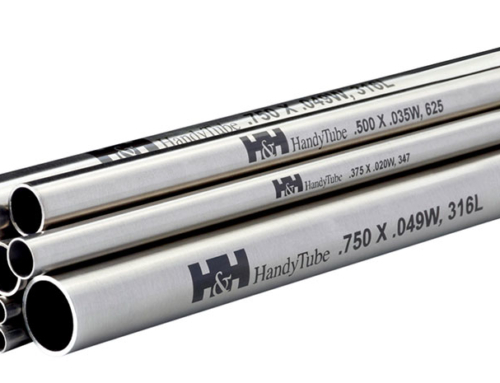 Using special tooling on the inside diameter of 316 stainless steel tube, the tube can be ‘bulged’ for certain unique applications. 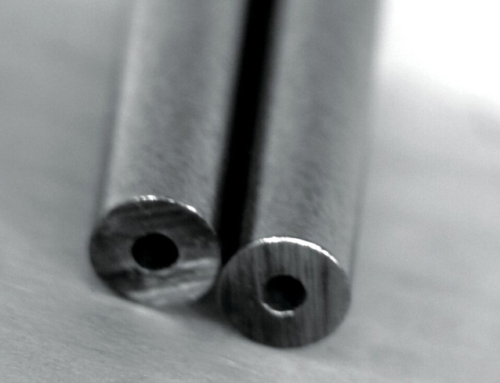 Notching is done to create symmetrical holes in a tube for medical applications by using a piercing or Wire EDM. 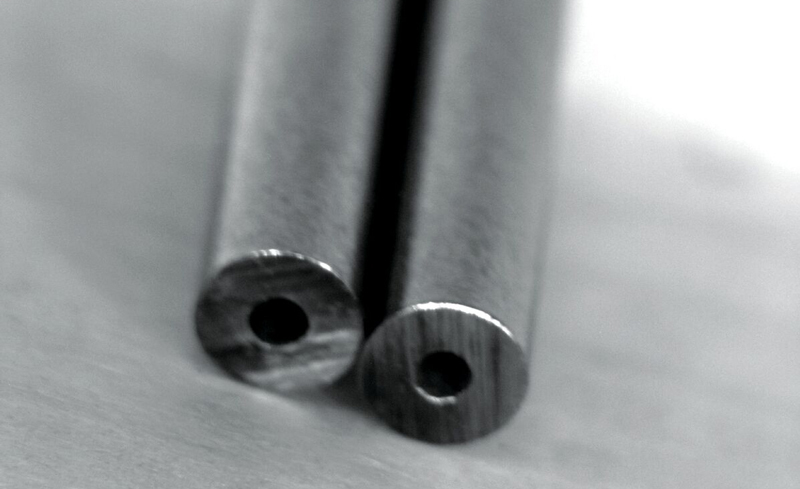 Slotting uses Wire EDM operations to cut precision slots for raw stainless precision medical tubing. Dimpling is when a section of material is offset to create a dimple or series of dimples in a tube. Electro Chemical Machining (ECM) is used for working extremely hard or difficult to machine electrically conductive materials. When using ECM the cutoff results in a burr-free finish that can hold very tight tolerances, with lengths of +/- .005”, and perpendicularity of +/- .003”. Electro Chemical Grinding (ECG) is a process that removes electrically conductive material by grinding with a negatively charged abrasive grinding wheel, a positively charged work-piece and electrolyte fluid. ECG allows for a variety of shapes and forms created in a single operation that ensures consistency of the finished parts. Because of the consistency and precise repeatability the process is extremely fast and efficient. CNC (Computer Numerical Control) machining is a precision and highly repeatable manufacturing process. Swiss-style CNC turning lathes provide extreme accuracy, able to hold tolerances down to a few tenths of a thousandth of an inch. The work-piece is held with a collet and a guide bushing with tools positioned to hold stationary on the Z axis. To cut lengthwise along the part, the material will move back and forth on the cutting tool along the Z axis. Due to the ability to work the more rigid section of the material near the guide bushing it is ideal for machining narrow work-pieces because the part is held in a virtually vibration fee position. Swiss-turn CNC machining meets medical customers complex component demands because it has the capability to hold extremely tight tolerances while moving at high rates of speed on multiple axes. This increases productivity and reduces machining time. To reduce costs, multiple cutting tools can work concurrently to expand the machine’s functionality, utilizing automated feed to limit operator function. CNC Swiss turning also produces very low RMS (Root Mean Square) surface finishes, smoothing microscopic peaks and valleys in the finish. The wire EDM (electrical discharge machining) process consists of a slow moving, electrically-discharged cutting wire that follows a set path; the electrical-discharging sparks cut the work piece. This works well for processing complex components that require high precision tolerances. It is typically used to make very narrow and intricate cuts because of the tight diameter of the cutting wire. This multi-axis, rotational CNC laser welding process allows for highly accurate welds in precision applications. Gas-shielded laser welding systems work well for multiple lot sizes. Laser welding is optimal for production runs because of its efficient process speeds, rapid cycling, easy set up, and high repeatability. Laser marking (aka laser etching) is typically used for graphics, logos, alpha numeric info, serial numbers, barcodes, etc. Some fabricators have the capability of in-process laser marking while fully fabricating components and assemblies, allowing for faster through-put. Also computer controlled, this high-powered laser operating through optics is used to make precision cuts, from simple holes to intricate geometric shapes. This can provide faster turnaround times with significantly reduced upfront tooling costs. As with other computer controlled systems, change-over can be as fast as a few key strokes. Like laser marketing, pad printing allows for printing company graphics, logos, or notes directly on parts. Pneumatically controlled pad printing machines guarantee uniformity of printed impressions. 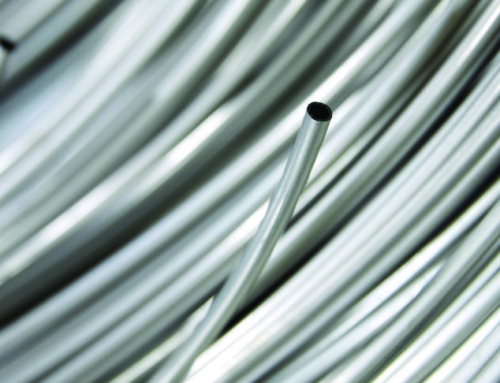 The dark color and rich contrast of the ink against 316 stainless tubing materials such as medical tubing and tools, allows for easily identified logos, and is safe and biocompatible for surgical devices. Highly stringent specifications, FDA requirements and other tightly held standards in the medical device industry can only be met by manufacturers who employ the above processes and equipment. The end users (surgeons and other medical professionals) expect their devices to be completely uniform and consistent in appearance. 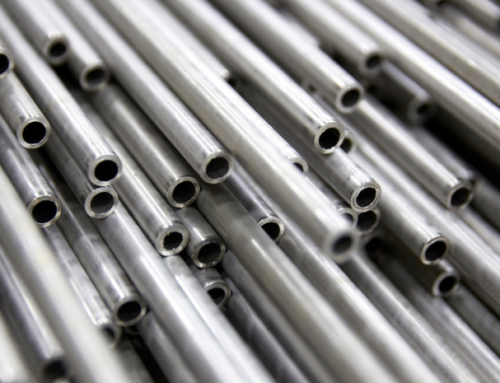 When selecting a manufacturer of medical 316 tubing for surgical tools and instruments, sub-assemblies and components, it is vital to ensure they specialize in the production of precision fabricated tubular and metal components, and are ISO 13485 certified. This not only expedites and fine tunes the quality control process, but helps to ensure the final product is dimensionally precise, safe and functional, while meeting specified material and mechanical properties.